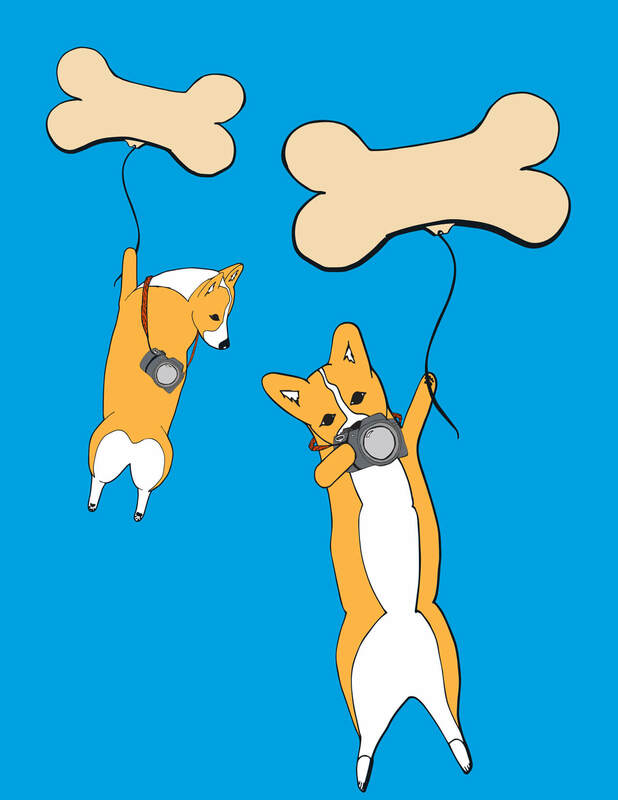 This illustration tells the whimsical story about two Corgi, paparazzi photographers who could never get the best pictures because their short legs prevented them from seeing above crowds. One day they were walking along and discovered magic balloons. 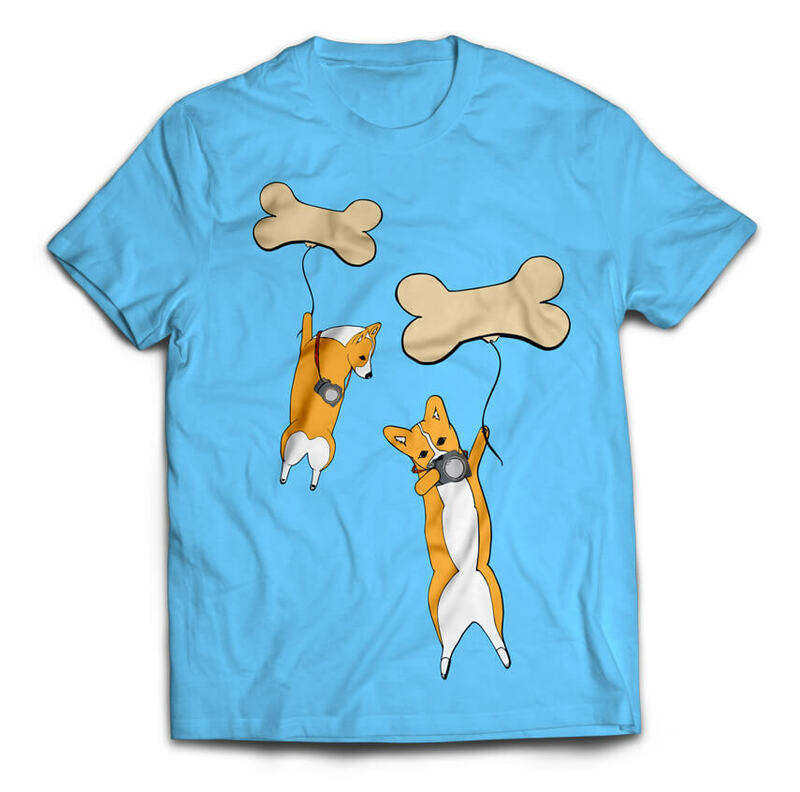 They each grabbed hold of a balloon and, before they knew it, the balloons carried them above the crowds. Their pictures were awesome.